There’s definitely a desire to know more about our favorite characters from the beloved franchise. But is it really necessary? The mystery and allure of Han Solo is a big part of the original film. And it carries into the rest of the series. So by detailing his past, I feel as though part of the magic is taken away. Don’t get me wrong. The excitement of seeing Han and Lando when they first met, and how the transference from one to the other of the Millennium Falcon takes place was something I had been wanting to see for years. And as for the actors who stepped into some pretty big shoes… They nailed it. Glover executed his take on Lando so brilliantly that I’m almost yearning for a solo movie about him. And of course Woody brought humor and humility to his portrayal of Han’s mentor Tobias Beckett. 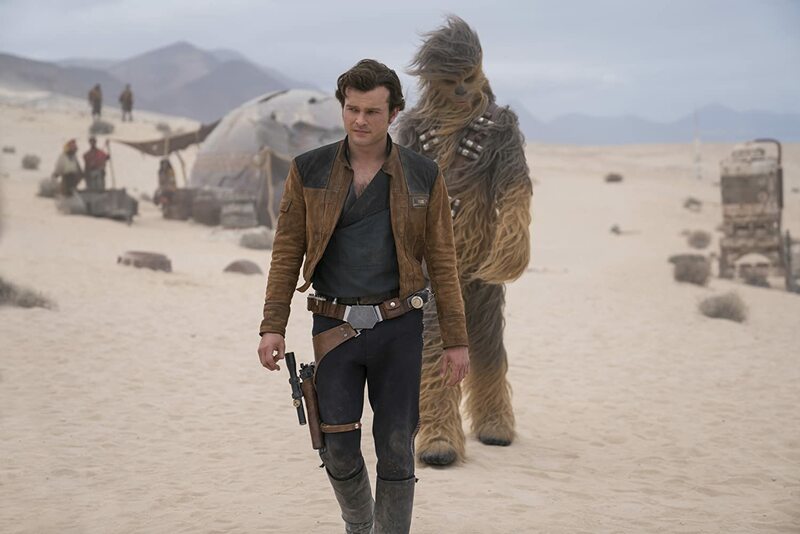 The real saving grace of the film is Alden Ehrenreich. He brings the swagger and charm necessary to bring young Han to life on the big screen in a way that is is almost brand new. 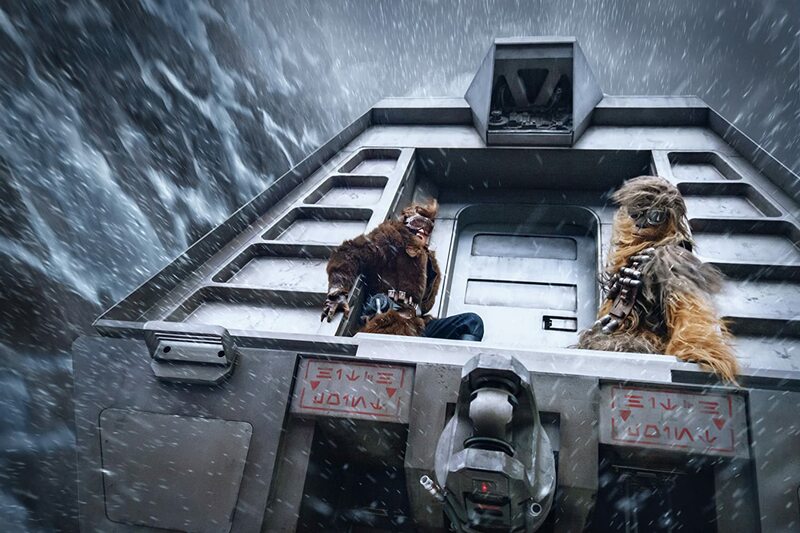 And of course, Chewbacca is here, lending an almost, dare I say, dramatic performance….? Not quite. But it was at least emotional. I could go on and on about the great cast, including Emilia Clarke, because really, it’s all the movie has going for it. I understand it’s not going to be compared to Oscar winners. And that I’m being overly critical. Yes, it was a fun movie. But I wasn’t satisfied. No real goosebumps moments for me. The on screen telling of events only mentioned in previous films almost ruins their meaning for me. Also, there’s a cameo that was just simply off-putting. If more time had been taken, and Ron Howard had pushed the release date back a bit, the end result may have been better. But we all know Mickey wouldn’t allow the profit margins to falter. Feel free to hate on me on here or my Facebook page. Thanks for stopping by!